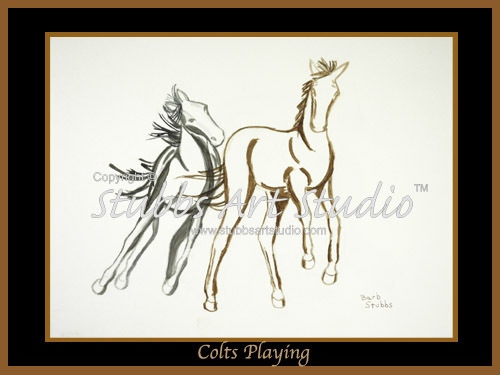 Youthful, rambunctious, playful, and full of life best describes this painting of 2 stylized young colts in action. In this watercolor painting by Barb Stubbs she has captured the innocent and entertaining personalities of these 2 young and energetic foals. Careful, you might catch their enthusiasm.